The BIG Sheep is Devon’s favourite and friendliest family attraction renowned for great customer service and a top family day out whatever the weather. 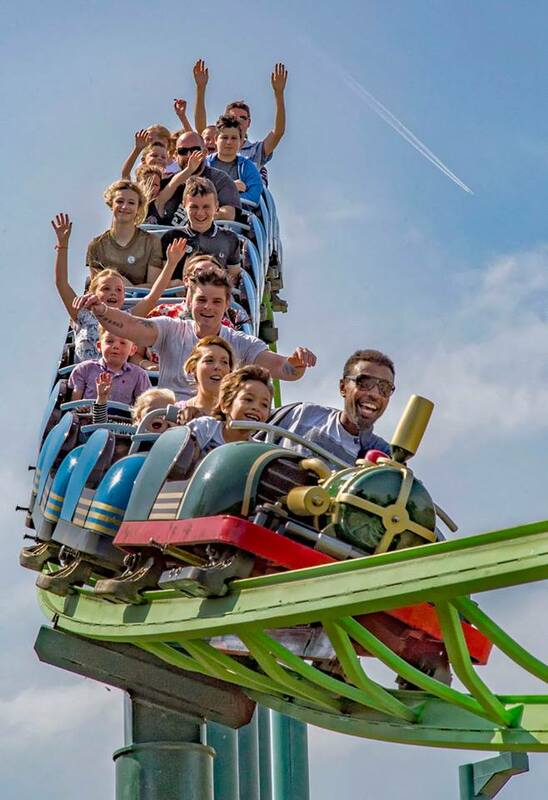 New for 2016 is Devon’s fastest and highest roller coaster. Daily shows include sheep from around the world strutting their stuff on stage, sheep and duck trials, sheep shearing, lamb feeding and our world famous sheep race. If you fancy a bit of outdoor play, you can bounce on our giant jumping pillows, experience the thrill of flying through the air on our twister ride, get wet and wild in the splash zone or try your skills at archery tag. Younger children will adore travelling on the piggy-pull-along, tractor safari ride or taking a train ride around the lake, and the swan pedal boats are great fun for all ages. With an animal barn full of puppies, chicks, rabbits and lambs etc., daily pony rides, a massive indoor adventure play zone and our outdoor themed combat zone for older kids there is plenty for all to enjoy. A visit to The BIG Sheep is all about having a great day out and the ‘Flock’ will do all they can to make sure you have a wonderful visit and take home some lovely memories - so come along and enjoy the best day of your holiday baaaaa none!